Ebooks - Cookies as Business. Ready to start or grow your cookie business? These Ebooks on a variety of topics will help! I have an Ebook to go with most of my online classes. You can take the class and receive a copy OR just purchase an ebook on its own. With the purchase of a private one-on-one class, you will recieve 3 ebooks of your choice. Click on the photos below for more information and to purchase just the ebooks. I use Pic Monkey to edit my photos and add my watermark! If you sign up, please use my affiliate link by clicking the photo. Thank you for your support! Ebook: How to Host Cookie Decorating Parties. Blank roster included. Ebook: How to Roll, Chill, Cut, Freeze, Bake, Cool, Store Dough - Ready to decorate. Dough recipe included. Ebook: How to Keep your Cookie Dough from Spreading in the Oven. Dough recipe included. Ebook: Royal Icing Consistencies. Icing Recipe included. I use Weebly for this website! If you decide to use it also, please use my affiliate link by clicking the photo. Thank you for your support! In the Cookie Biz? Join my Facebook group for help and encouragement! To be approved - make sure that you answer the three questions! Ebook: How to Teach Cookie Decorating Classes. Handouts included. 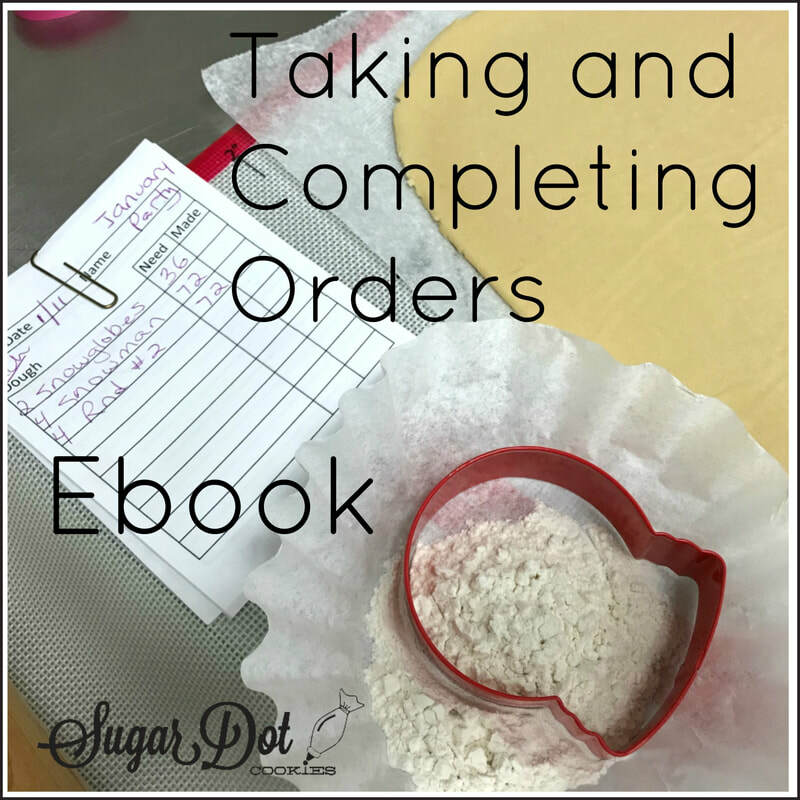 Ebook: How to Bag, Platter, and Ship Cookies. Bonus: How to add Tags. Double Bonus: How to Cut Ribbon Quickly. I love the DoughEZ mat! Click the photo to purchase at 10% off with code "SUGARDOT". Expires Dec 31, 2019. This is an affiliate link. Thank you for your support! Check out my Cookie Surveys on Cookie Connection! Weigh in by taking part in the surveys. Then read my articles where I recap our findings.